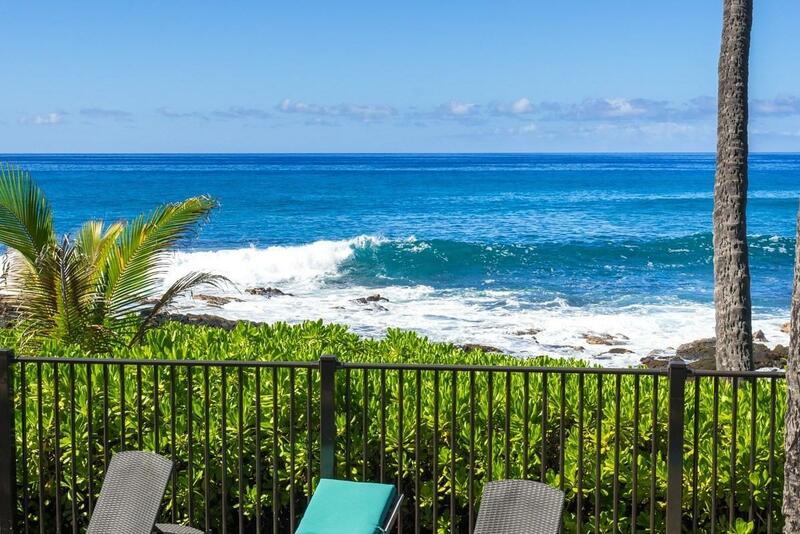 76-6212 Alii Dr, Kailua-Kona, HI 96740 (MLS #616509) :: Aloha Kona Realty, Inc.
Easy to show!Absolute prime ocean front corner end unit location! Two bedrooms, two full bathrooms, fully furnished and tastefully decorated to make it easy for you to make your transition to Hawaii. Panoramic ocean and coastline views from almost every room. This end unit location provides additional South facing windows to bring in extra light and ocean views not found in most condominiums. Beautifully updated with gleaming granite counters, natural stone flooring in your living room, kitchen hallways and bathrooms. Rich dark wood cabinetry in the kitchen accented with black finished appliances. Very spacious bedrooms, and the master offers wonderful ocean views plus a giant walk-in closet. 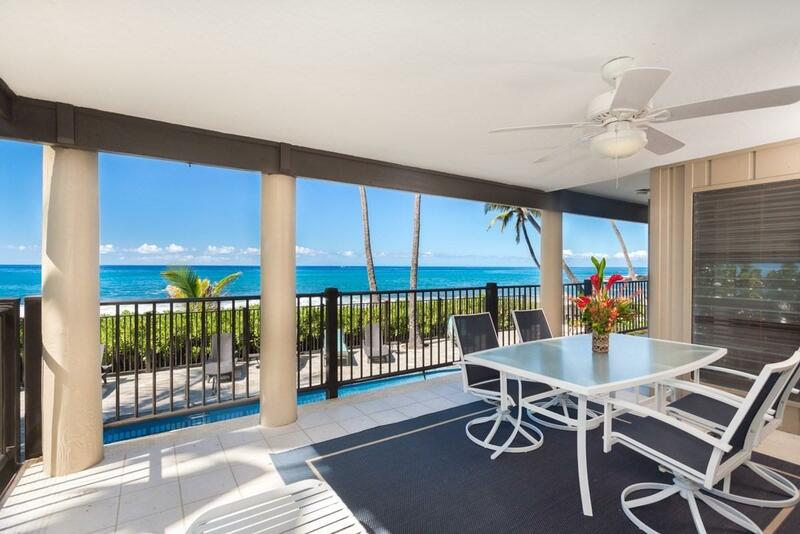 Youll love the spacious covered lanai perfect for evening sunsets and cocktails.Enjoy all year comfort with central air conditioning, covered parking, bicycle racks and even private surfboard racks. 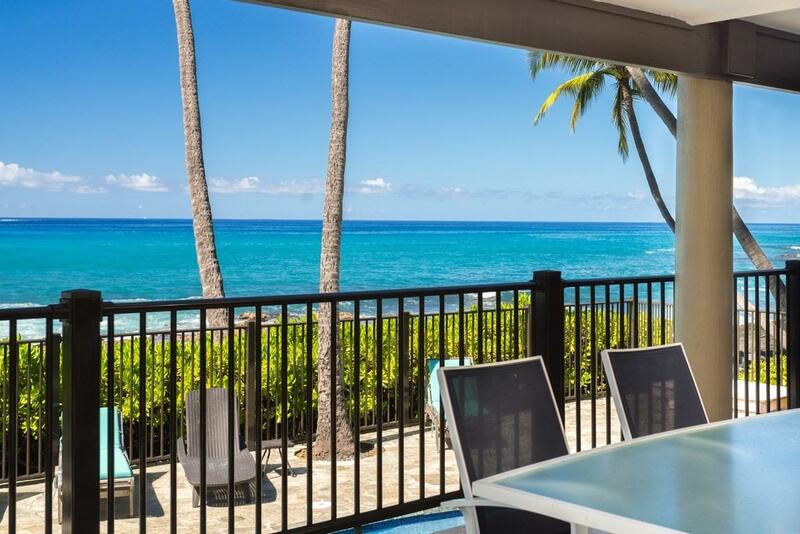 Kona Nalu is a 15-unit complex at the waters edge on historic Alii drive. 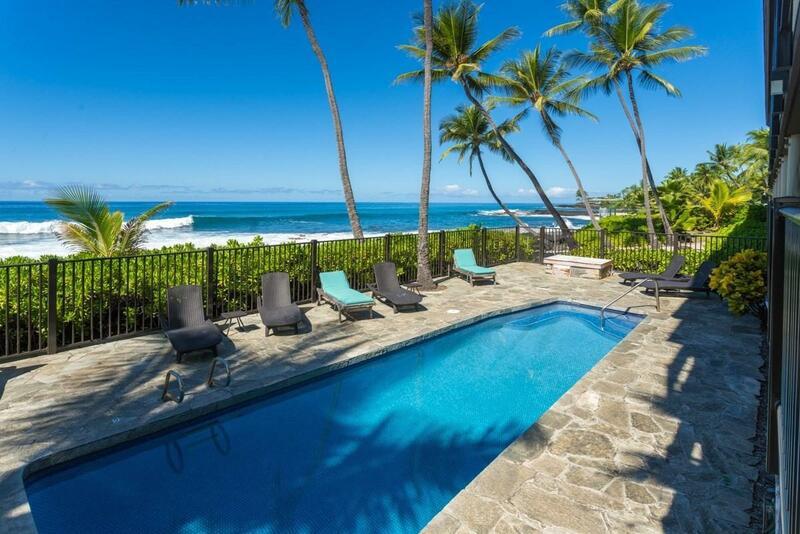 There is also a lovely Ocean front pool just off your back lanai with private BBQs plus a sandy beach to enjoy.Excellent vacation rental or second home. Come and watch the whales and dolphins playing in your back-yard paradise.